Unrated, 1 hr. 22 min. The general consensus is that Phantom Planet is alternately boring or silly. It takes itself very seriously but doesn't realize its own shallowness and unoriginality. The portentous narration, the meteors, the spacewalk - we've seen this all before. The comments about valuing beauty go nowhere. The dialogue is simplistic and the direction static. No advantage is taken of the "shrinking" theme. Bill Warren calls it "hopeless" and pronounces the science to be "gobbledygook." He and others feel bad for actor Francis X. Bushman, a silent-era star who made more than 150 films before 1930, including the 1925 Ben-Hur. Much of the above is true, but I feel that the complainers are missing the point. 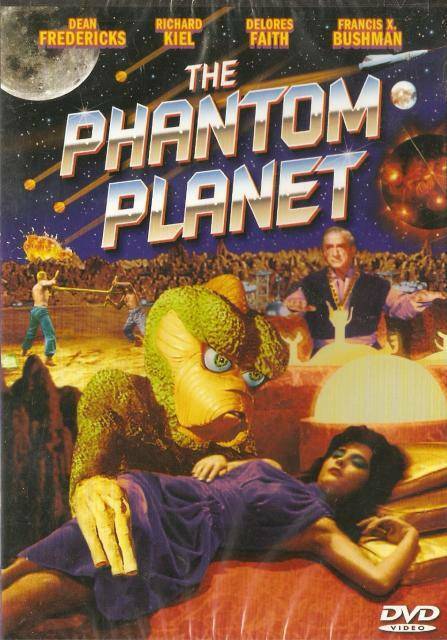 Phantom Planet is not really a 50s sci-fi film; it is in fact akin to 1930s serials. When you watch it, look not for Destination Moon but for Flash Gordon. Scientific accuracy can actually be a liability in this sort of movie because it detracts from the fantasy. The main interest is watching the hero struggling to survive in this alternate world, struggling to save the girl (and everyone else) from the encroaching horde of monsters, struggling to at last return home. 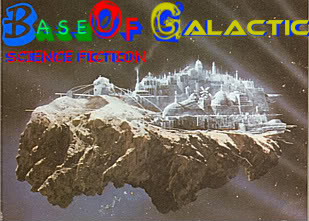 The special effects are obvious but somehow powerful: we are treated to numerous images of old-fashioned spaceships, meteors, and, at one point, flaming one-man attack ships entering a sort of gravity field. The bug-eyed monsters, reminiscent of This Island Earth, could have been better (Bill Warren is correct that they resemble Disney's Goofy), but they could have been much worse. They look weird and perverted. Goldweber, David Elroy (2012-06-14). Claws & Saucers: Science Fiction, Horror, and Fantasy Film: A Complete Guide: 1902-1982 (Kindle Locations 56237-56262). David E. Goldweber. Kindle Edition.